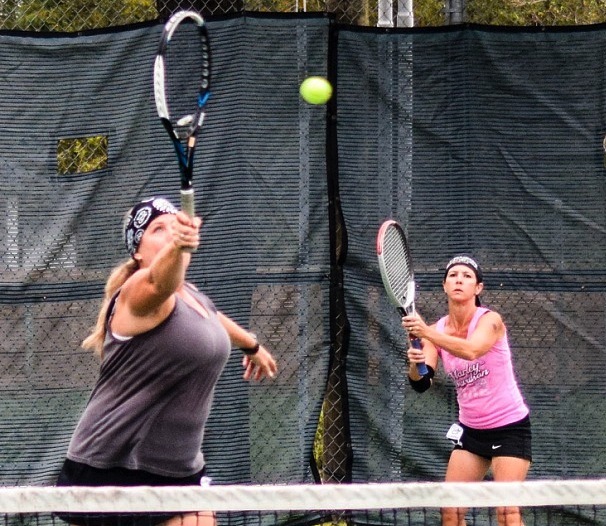 Thanks to all who played in and sponsored the Kelly Elkins State Farm Hallowheel charity tennis tournament, Oct. 30 – Nov. 1, 2015, at BREC’s Highland Park Tennis Center in Baton Rouge. 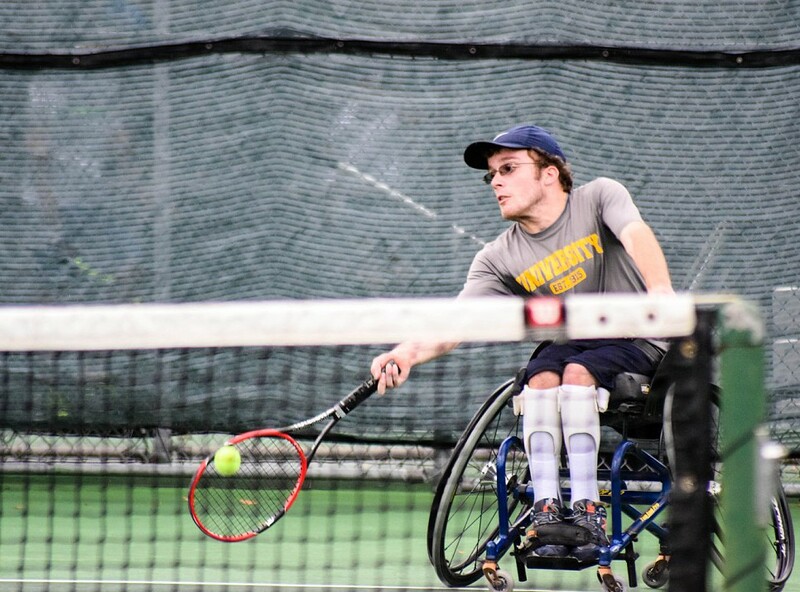 Through your participation and generosity, we raised $17,059 to help offset expenses of the 2016 Cajun Classic Wheelchair Tennis Tournament that will be held March 16-20 in Baton Rouge. Click here to see a great album of pictures by Megan Ousset! Thanks to Scott and Lisa Raiford of Baton Rouge who competed in the Up-Down Division. Lisa was a member of the 2.5 Women’s team, based at Highland Park, that won the USTA 2.5 Women’s Nationals in California, and Scott took up tennis after Lisa encouraged him to join her on the courts. Teaching professional Carlos Roldan worked with Scott to prepare him for Hallowheel. Thanks, also to the 11 other wheelchair players who joined us for Hallowheel, several traveling from Mississippi and north Louisiana. 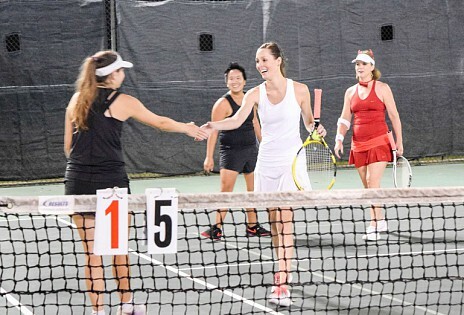 The Kelly Elkins State Farm Hallowheel charity tennis tournament was one of the most unique and inspiring tournaments in the United States. 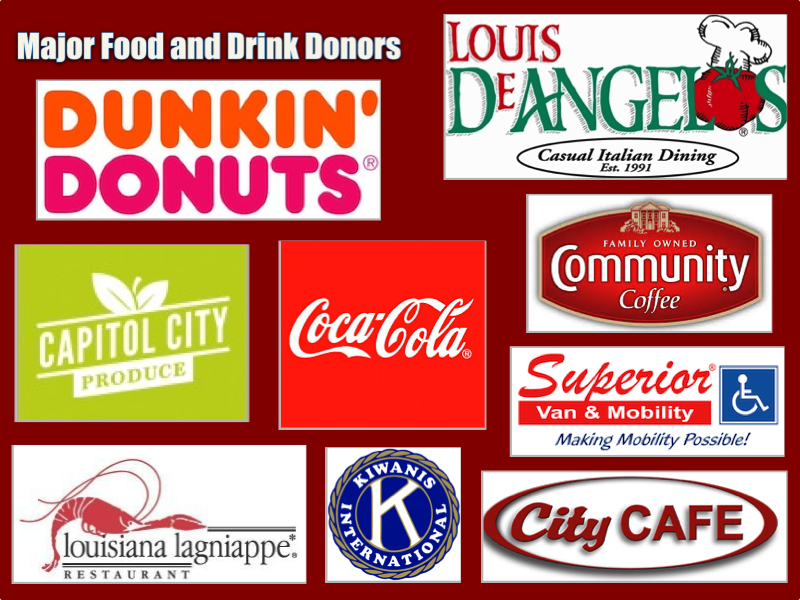 Our primary goal was to raise funds to help support the Cajun Classic Wheelchair Tennis Tournament while showcasing wheelchair tennis in the midst of a traditional tennis tournament. 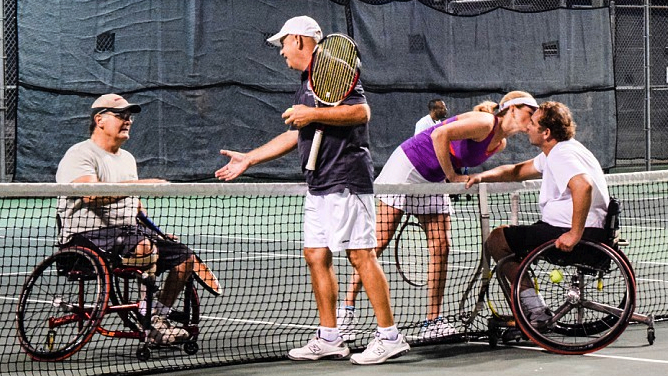 Hallowheel featured a main draw of traditional men’s and women’s doubles and included a separate “Up-Down” draw where 12 wheelchair players partnered with able-bodied players in doubles competition. 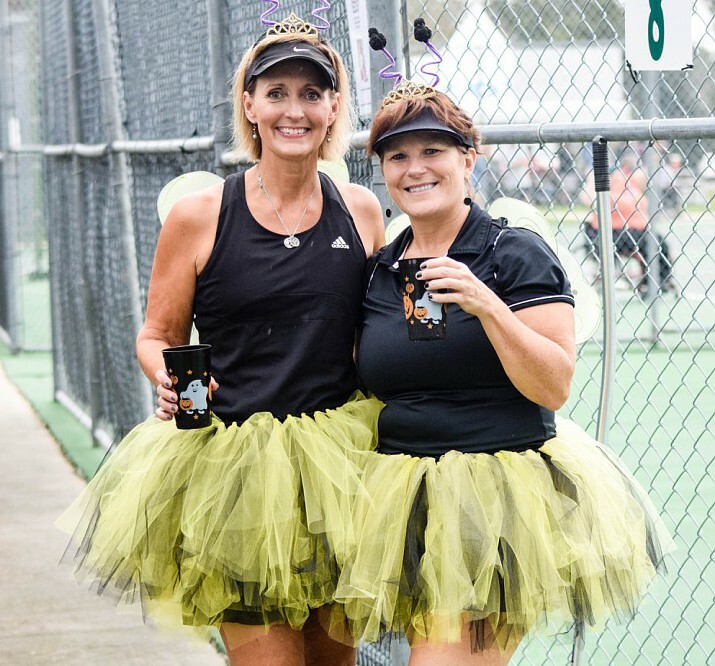 It was a great inaugural tournament, despite rains on Saturday and Sunday, and the 2016 Hallowheel tournament will be held Oct. 28-30 at BREC’s Highland Park Tennis Center in Baton Rouge.